The Distinguished Career Award (DCA) was established to honor researchers who have made an outstanding and enduring contribution to research in the neurobiology of language. The recipient of the award will be chosen from nominations put forward by the membership and will present a lecture at the Annual Meeting. 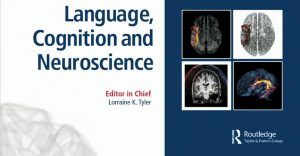 Candidates for this award should have been in the field 15 or more years and have made major theoretical and empirical contributions to our understanding of the neurobiology of language. This award recognizes senior scientists for their sustained and distinguished career, including outstanding scientific contributions, leadership, and mentoring. The recipient must be able to attend the annual meeting to deliver a talk about their research. 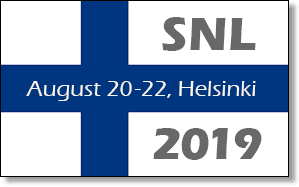 Nominations (including self-nominations) must be made by a current SNL member and will be reviewed by an Award Committee consisting of SNL members. Nominations will open on March 21st and close on May 2nd. Two letters of recommendation (each no more than 2 pages long). Letter writers should address the nominee’s outstanding scientific contributions, leadership, and mentoring. The prize will be presented at the SNL Annual Meeting. It will include an honorarium of $1000, generously provided by Language, Cognition and Neuroscience. In addition, the recipient will receive free registration to the Annual Meeting where they will give a talk and receive their award.